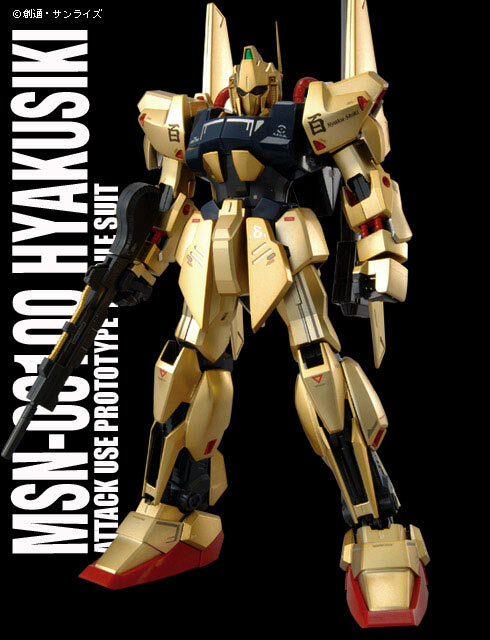 In the first Hyaku Shiki the gold parts are plated. In this variant its nice to see that you'll be given the chance to paint the body. I was surprised to find out too that this can be achieved by using a base coat of silver then topped with a mixture of 75% clear yellow and clear orange (25%). I guess if I was the one who did it, what with my meager resources of paint variety due to my geographic location, I'd go for an industrial metallic gold color. Update (02/19/2010): Oops, wait a minute, this is the same color mixture posted on the manual of the ballute system Hyaku Shiki. Be careful as you might end with the same yellowish tinge as that of the Hyaku Shiki Ballute System. 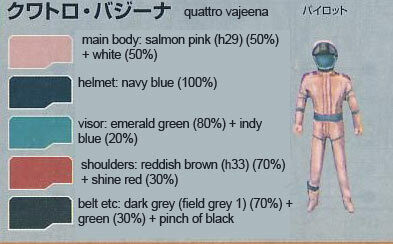 Color Guide was translated from the manual posted at Dalong. 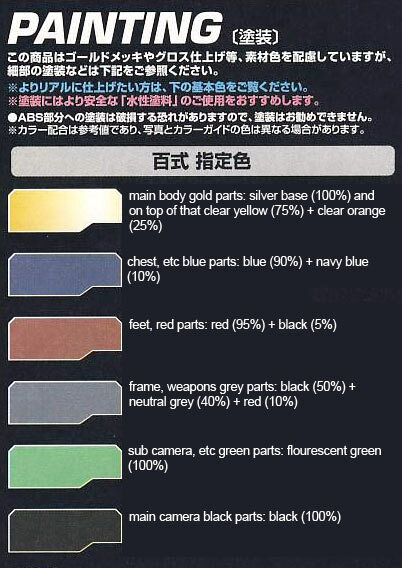 More translated color guides can be found here.